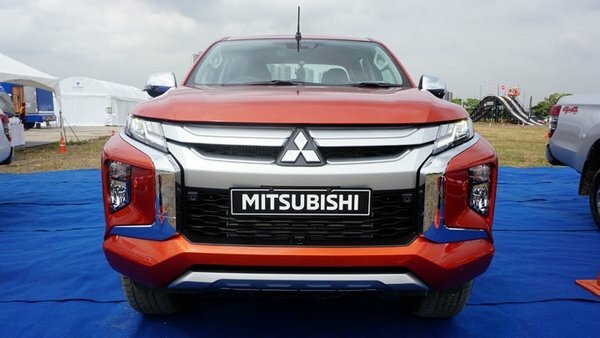 Is it worth counting the days until the Mitsubishi Strada 2019 Philippines comes? 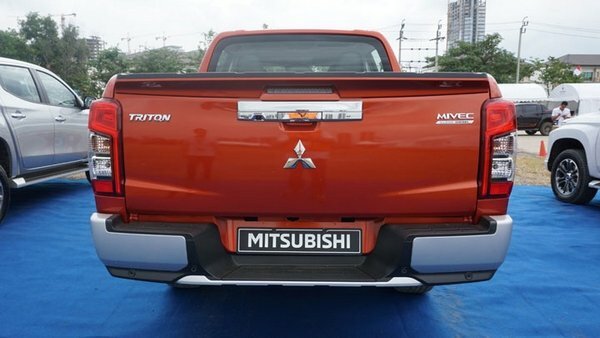 After a series of teasers, Mitsubishi Motors finally let the Mitsubishi Strada 2019 (Triton/L200 in other markets) debut in Bangkok, Thailand. 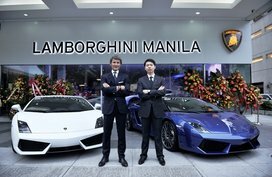 No official words yet on its arrival in our shores, but like other car launches before, the Philippine market will be following soon thereafter. 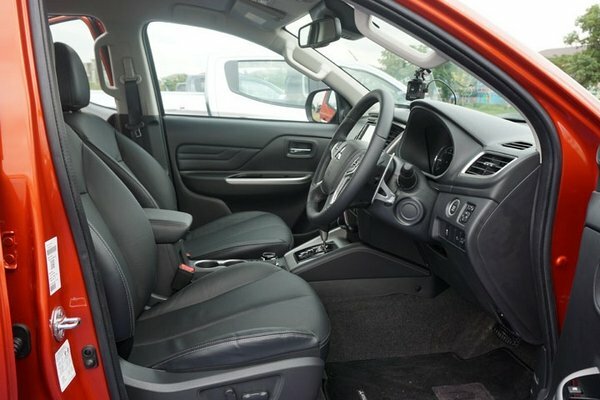 Technically speaking, the new Strada is no more than a facelift since it is still running its current generation, despite considerable tweaks in styling. 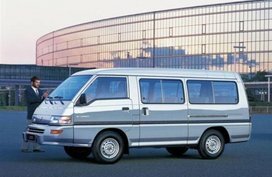 In this mid-cycle model, the chassis, engine and platform remain unaltered. 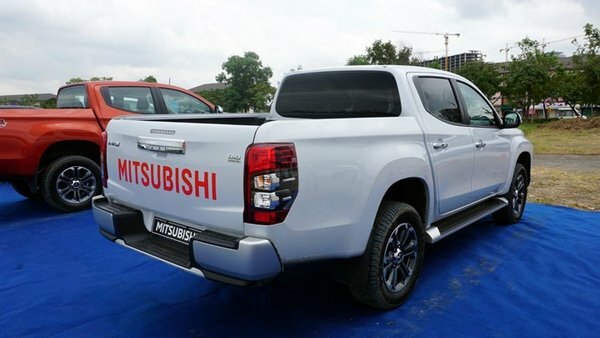 So, what’s new on this truck? We at Philkotse.com will tell you the answer now. 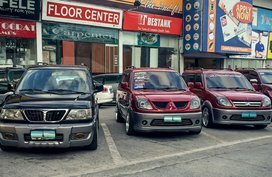 Before commencing, do note that the unit we discuss on this article is the Thai-spec Strada, and specs may still vary for Philippine units. 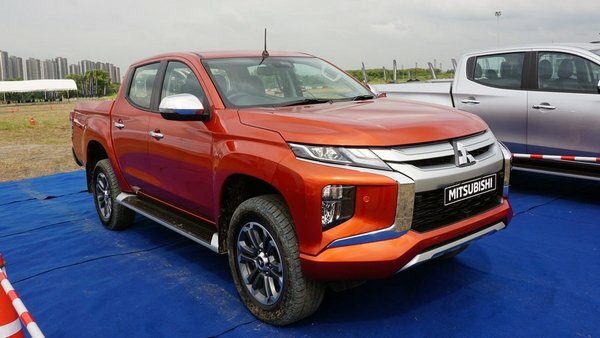 As what we've seen on the Thai-spec Strada, the new 2019 Mitsubishi Strada's modifications may appear aesthetics. However, it receives quite the radical makeover. 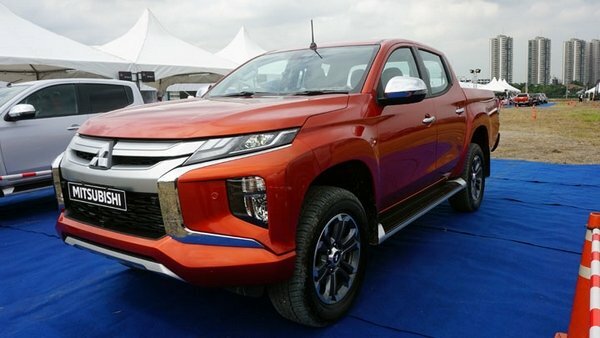 With its Xpander and Montero Sport-inspired appearance, the new Mitsubishi Strada is likely one of the boldest-looking pickup trucks in the automotive world. On top of that, the Japanese car brand has also released an accessories catalogue to give its signature pickup a more aggressive silhouette. 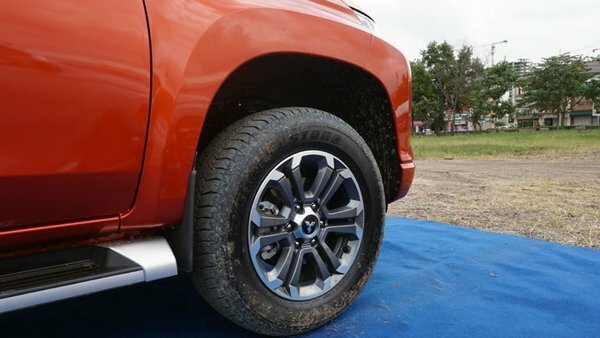 With this, customer can freely equip the Strada with a more off-road oriented look from bumper to bumper, and from inside out. 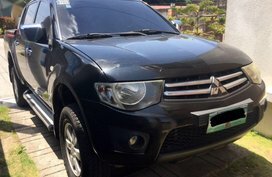 The grille mislaid half its chrome in favor of a gray piece with Mitsubishi badge in the center. Further, the entire front apron of the car is changed thanks to its beefy, gray bumper garnish. In the meantime, a front under garnish counts up a bit of masculine to the model. 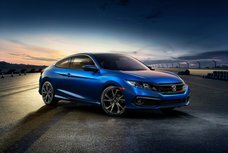 Even, you're able to specify a deflector to save the trailing edges for the bonnet. 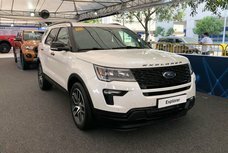 Coming as options are a diamond-cut 18-in alloy wheel set featuring with a bi-tone finish, window deflectors and carbor fiber-effect foil wrap on the door pillars. Complementing the trim piece at the facade is a side door garnish. Moving rearwards, an anchor points on the bed is for secure cargo loading. Particularly, the bed can likewise be optioned with a sports bar for a less angular figure. 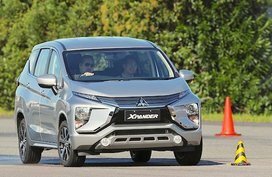 Given that the façade of the Mitsubishi Strada resembles the Xpander’s, many proposed that the Strada’s headlights would be put on the front bumper with the bolder upper light fixtures turning out to be just position lights. Nonetheless, that is not the case of the Strada 2019. 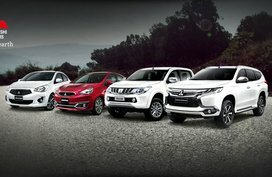 Instead, the headlamps are positioned on the traditional spot with the Daytime Running Lights. The lights on the front bumper, in the meantime, are the fog lights and turn signals. 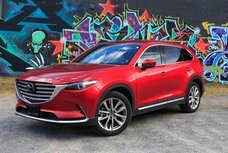 So now, the problem is that you are force to keep dipping to low beams every time another vehicle comes by when driving long distances at night with high beams. 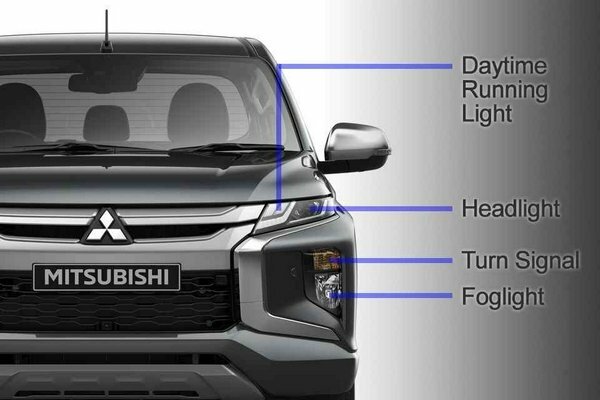 Don’t worry about this as sensors will help the headlamps switching automatically so that you won’t dazzle the other driver. 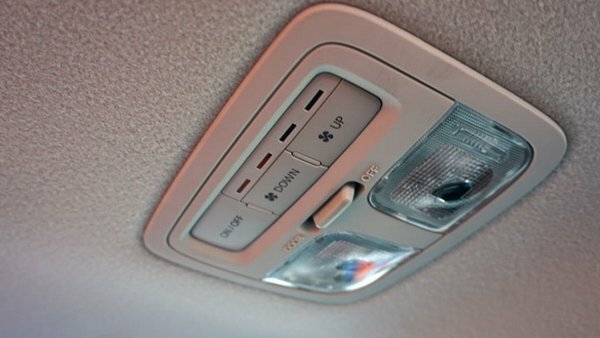 Plus, the lights also dip in case you’re coming up behind another car. 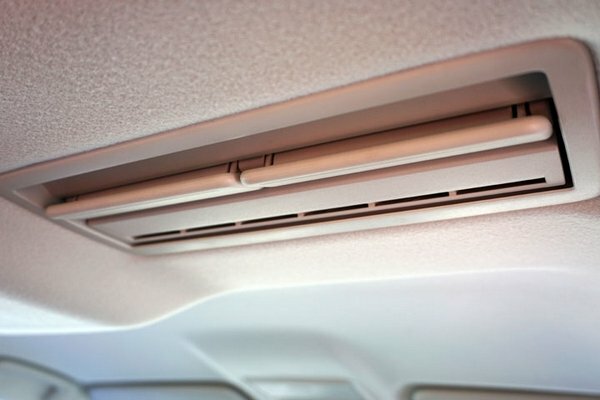 Frankly, we do like simplicity, safety and convenience of this new feature. 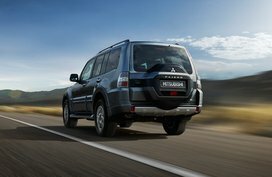 Mitsubishi also makes its new Strada more convenient and comfy. 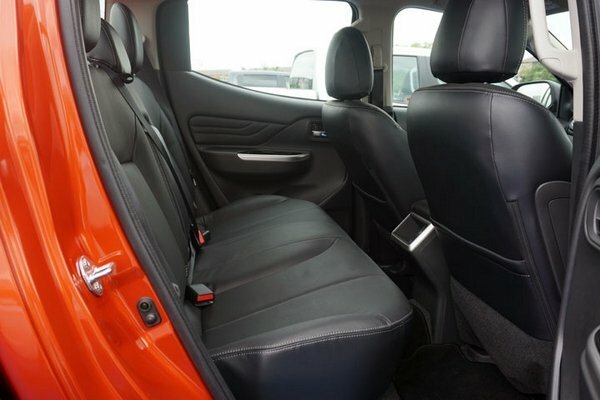 Thanks to added grab handles on the B-pillars, getting into rear bench of the car is more effortlessly. 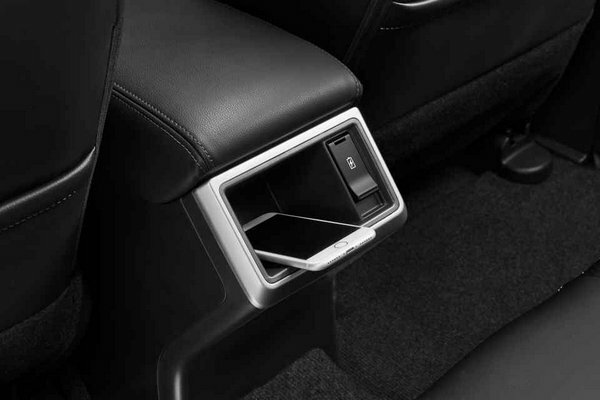 More noticeably, the compartment right onwards the gear selector is currently a mobile tray. 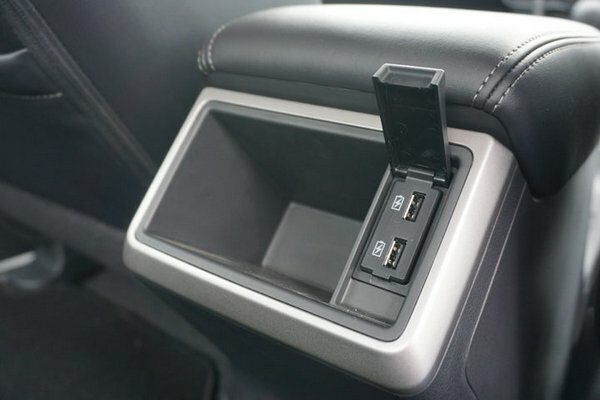 The back of the center console has likewise been reshaped for the same purpose, together with new USB ports. 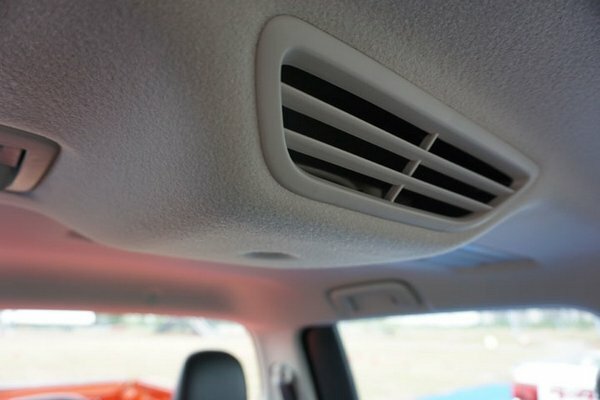 This air circulator absorbs air from the front air vents then send it to the back. 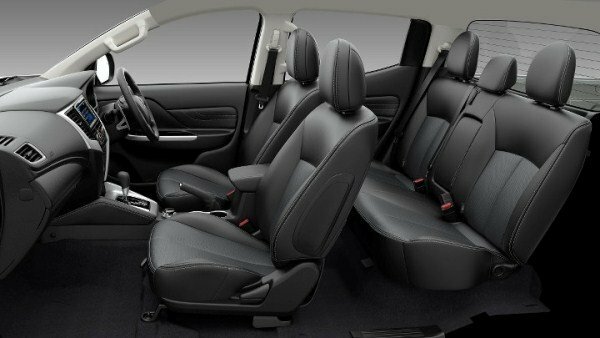 Generally, it’s almost identical to the feature seen on a 7-seat MPV that helps chill rear passengers more quickly. 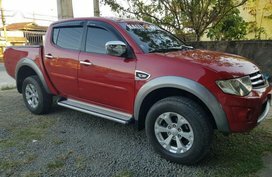 Still, it might be weird in a double cab truck with a little cabin. 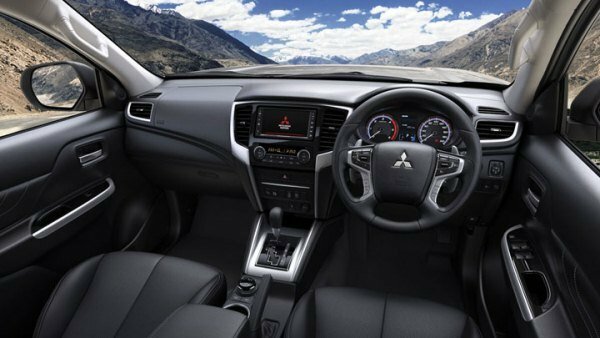 Accessories we can name on the inside are a leather-wrapped gear selector knob and 3 types of floormats, all brandish Mitsubishi typeface. 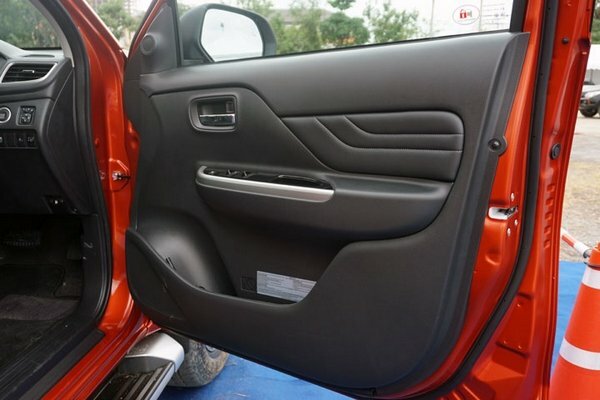 More than that, a scuff plate is also on tap to prevent scratches on the door sills. 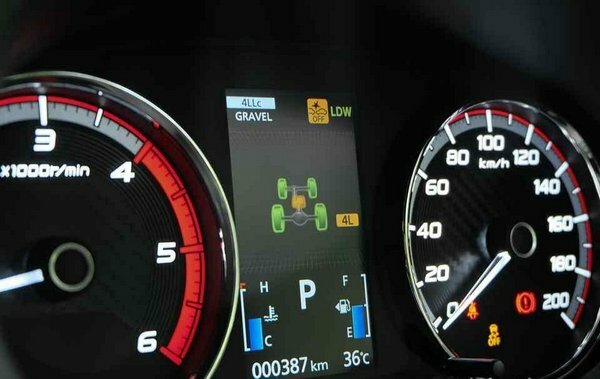 In high-grade variants, Ultrasonic Misacceleration Mitigation System and Forward Collision Mitigation are purposely added. 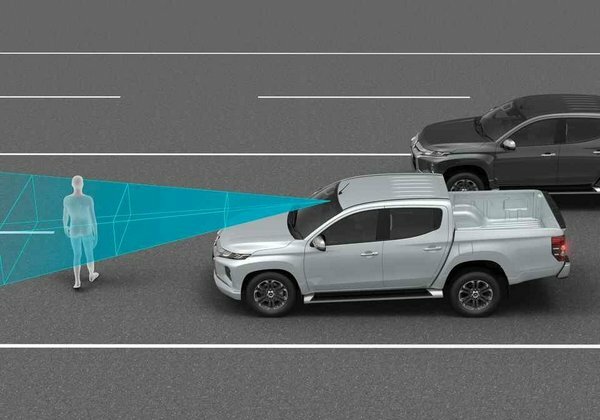 The Multi Around Monitor is a novel feature in the Strada 2019. 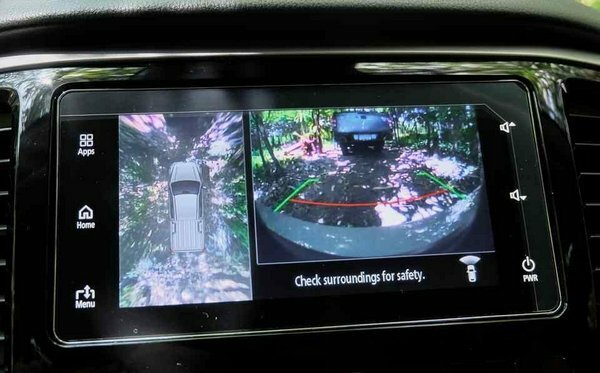 By using camera system set up on front bumper, side mirrors and tailgate, the system is responsible for generating a virtual bird’s eye view of the ground around the car in order to minimize the chance of scratching the body and the bigger wheels. 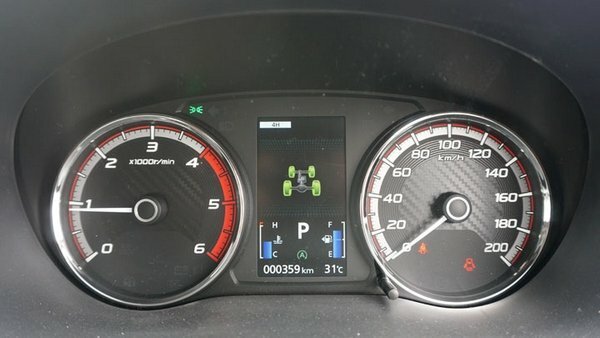 In fact, this system is the same as the Around View Monitor used by Nissan, albeit different term. 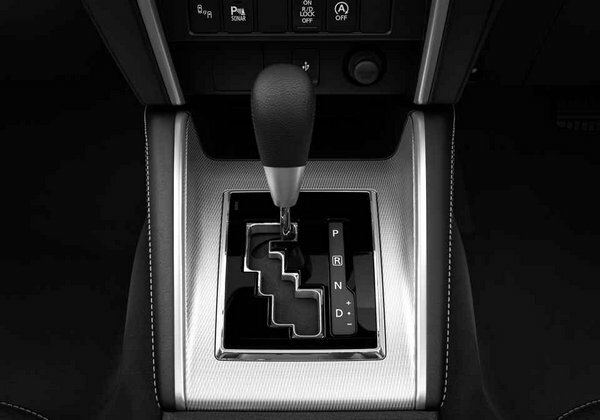 The biggest mechanical amendment to the 2019 Mitsubishi Strada is the automatic transmission. 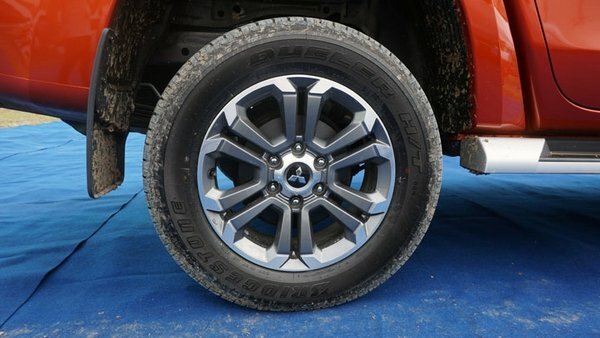 If the Mitsubishi Strada 2018 is hooked up to a 5-speed AT, the facelift model will bolted onto a 6-speed unit, joining the existing 6-speed manual. 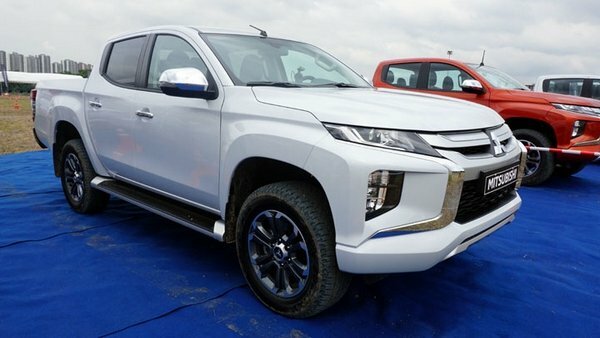 Actually, we don’t know the reason why the brand did not give the truck the more advanced 8-speed AT used in the Pajero and Montero Sport, but they made a welcome change with the new gearbox anyway. 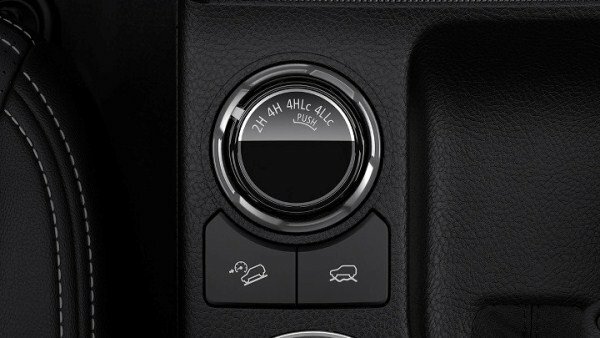 As per the last setting – “Rock”, it can be activated in 4LLc only, the lower range mode of 4WD. Another mechanical modification has been carried out in the front brakes. Both ventilated brakes discs and 2 piston calipers are made larger, significantly enhancing heat control and braking performance. Rear suspension is also tuned up for better ride comfort and handling. In detail, the shock absorbers (dampers) get a larger diameter so as to hold more oil and give a helping hand to absorption among others. 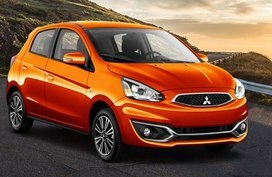 Also, Mitsubishi engineers revealed that they had perked up the leaf springs for smoother ride. 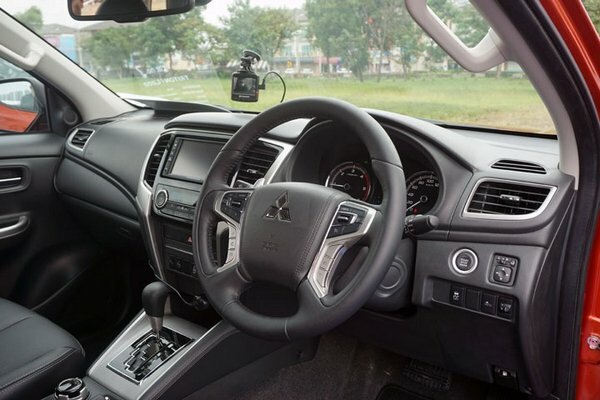 We’ve noted down 10 new features in the Mitsubishi Strada 2019. 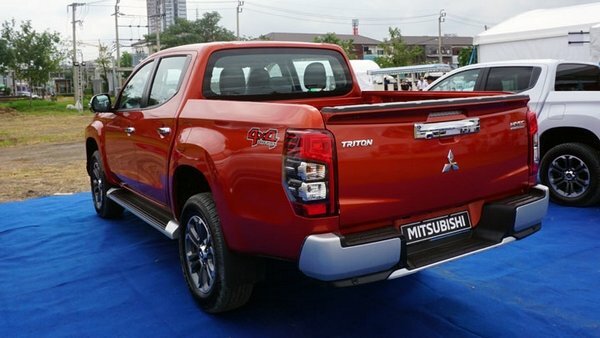 Again, we want to emphasize that all of the aforesaid features belong to the Triton 2019 in Thai market. 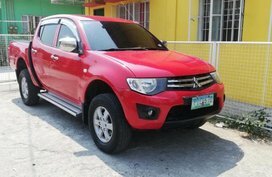 Specs, price and release date for the Mitsubishi Strada 2019 Philippines are not yet final. 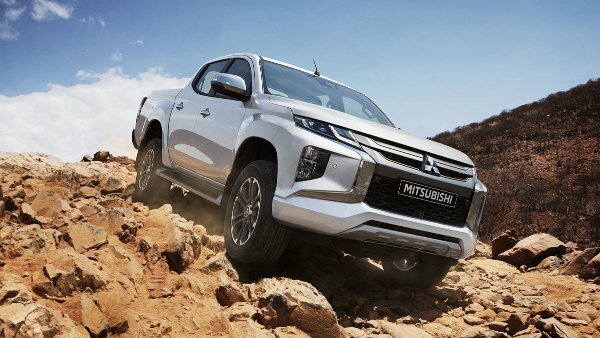 Hence, while twiddling your thumbs, you can refer to our Mitsubishi Strada 2018 review or have a look at current price of the well-know Mitsubishi pickup truck.